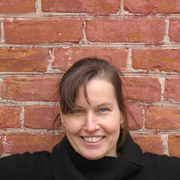 Catherine brings a wide range of experience from the arts, architecture, education, and interior design to our work. As a watercolour artist she travelled to Canada's arctic with the Polar Continental Shelf Project, and her graduate studies and ongoing academic research are in the areas of design curriculum and spaces for learning. She has taught at the University of Waterloo School of Architecture and Fanshawe College, and is currently Associate Professor at the Ryerson University School of Interior Design.